Passengers are always curious to know all the updated information regarding their favorite airline. This not only helps them to manage their baggage and another kind of stuff but also help the passengers to enjoy their journey without any hindrance. So, here we are going to discuss the top ten queries of the passengers related to traveling on United Airlines. NO.1: Is there any fee required if I want to change a flight on United? YES, there is. You need to pay a fee of $110 for award flights. Well, there is no fee attached to the change or cancel a flight ticketed within 24 hours if the reservation was made at least 7 days prior to departure. The airline charges a fee of $200 in the case of domestic flights and if you book the ticket of an international flight, then in concern to change, you need to pay $400 or even more. NO.2: Is it possible to change my flight without paying a fee? Well! Following are the best solutions in regards to change of your flight without paying the additional penalties. By making changes on the same day of booking of flights, you can easily reduce your penalties. In case, you have some doubt about changing of your flight, then always try to buy the flexible fare or refundable tickets. By getting the travel insurance, you can easily protect yourself from huge fees and fines. Try to book two one-way tickets to minimize your expenses in case of any change. NO.3: Can I watch movies on a United flight? YES, you can watch movies on your mobile devices or any other device by connecting these to Wi-Fi network which is available on board. All you need to do is to enable the airplane mode of your device and then connect to the “United Wi-Fi” network. Then, open a browser and go to www.unitedwifi.com. There, select the entertainment tab and enjoy different movie options. The latest version of the United app will let you play any show also. NO.4: What is the fee attached to the Wi-Fi facility of United Airlines? It can cost up to $8 per day of flying. In US Airways, 90% of flights cost between $4.95 to $19.95 for mobile devices and $11.00 – $49.00 for laptop computers. NO.5: Can I add miles to my United Mileage Plus after the trip? Firstly, you have to log in to United. Then you need to click on Earn Mileage Plus Miles. After that, at the bottom of the page; click the ‘Request for Missing Credit’. At last, enter all necessary information which required. NO.6: Is it possible to transfer my United miles to another person? YES, any passenger can transfer his/her miles to some other person by choosing – Buy, Transfer, and Give miles option. All you need to do is to select the transfer miles button. Then enter your account details like a/c number and the password as required. Fill all the other information on the loaded page to transfer United miles to someone but he/she also required to have a MileagePlus account. NO.7: When does one need to check his bags for a United flight? You need to check-in for your United Airlines’ flight at the airport ticket counter probably 30 minutes to 3 hours before the scheduled departure time where you will receive a printed boarding pass. It also depends on the departure city and destination. NO.8: What limit is attached to the number of bags to check-in on a United international flight? All passengers are allowed to carry two pieces of luggage with them into the airplane. The checked bags should be according to the maximum combined height, width and depth of 62 inches. The weight restrictions attached to the baggage should not be more than 50 pounds each. NO.9: How long can you reserve a United flight? When you are booking the airfare in the United States, then the U.S. Department of Transportation regulations, you’re entitled to hold your reservation in case you book a non-refundable ticket. 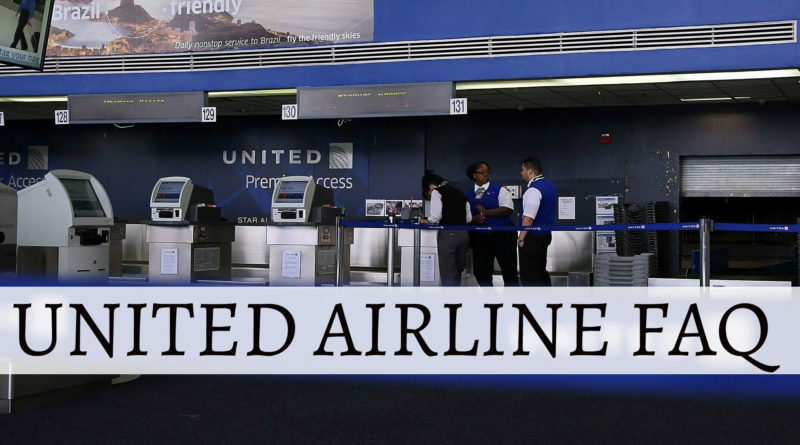 NO.10: What is the cost related to DirecTV on United Airlines? Just look for the DIRECTV logo in the In-flight Amenities tab and you can easily enjoy the facility. The feature of DIRECTV and Hit Movies are complimentary in United First. These are also available for the United Economy section for $5.99 on flights of two hours or less and for flights of over two hours, the sum is $7.99. In case you purchase this facility in advance, then you’ll pay $4.99 only.